In the meeting, we conducted an Induction Ceremony for a new member. Congratulations! 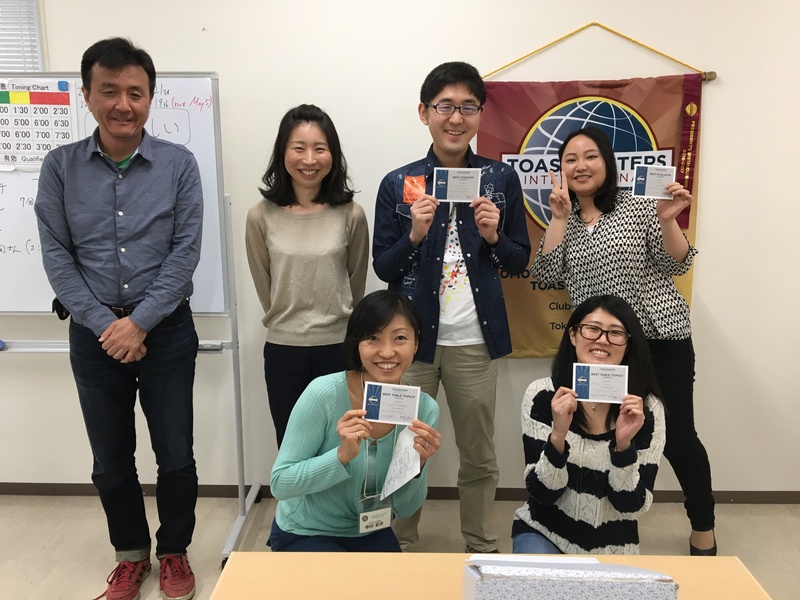 Regarding to Table Topics section, clear, simple but also challenging topics were prepared in both English and Japanese parts. Regarding to Evaluation section, every evaluator clearly suggested good and improving points. Especially, TM DH showed amazing techniques to encourage the speaker and suggest improving points at the same time. That was awesome! People in our club are all very friendly. Please feel free to come and visit our club!